Our pull reel / badge reel with belt clip has a 1-3/16" diameter round full color domed custom imprint facing. These custom badge / ID holders are excellent for trade shows, identification programs, security / access programs, conventions or special events. The pull reel casing is made of black plastic with a large 1-3/16” diameter facing, belt clip and clear vinyl strap snap. 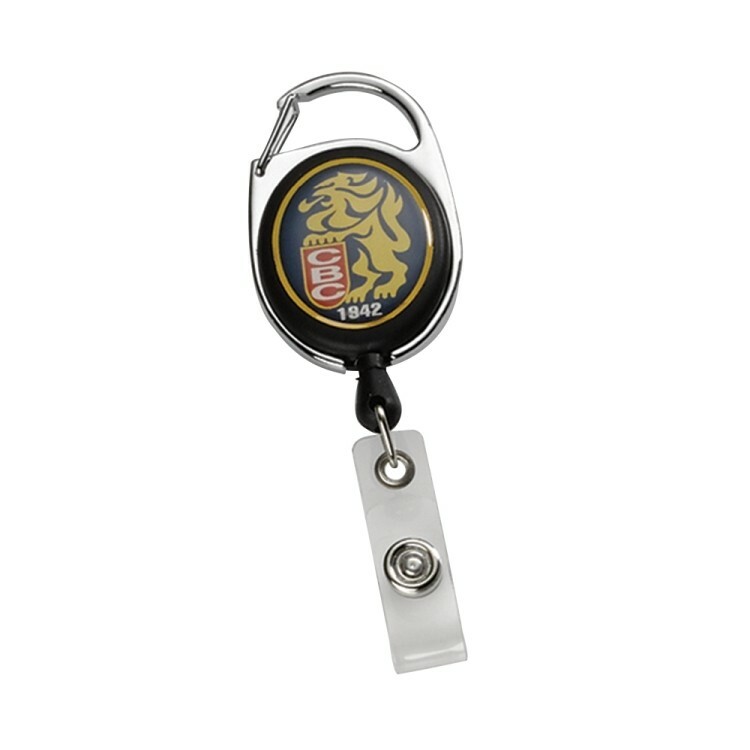 This pull reel / badge reel is delivered in bulk. 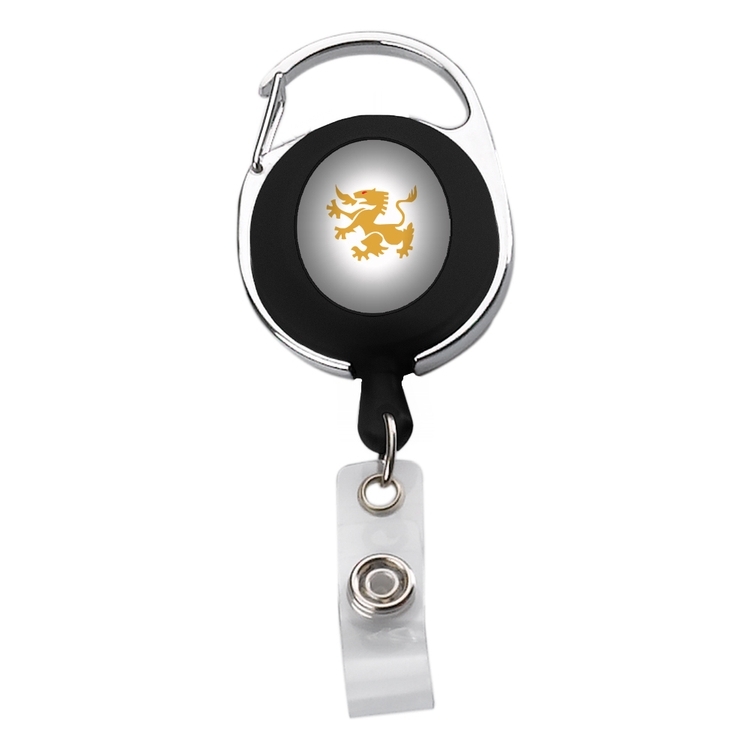 Our pull reel / badge reel with swivel aligator clip has a 1-3/16" diameter round full color domed custom imprint facing. These custom badge / ID holders are excellent for trade shows, identification programs, security / access programs, conventions or special events. The pull reel casing is made of black plastic with a large 1-3/16” diameter facing, swivel aligator clip and clear vinyl strap snap. 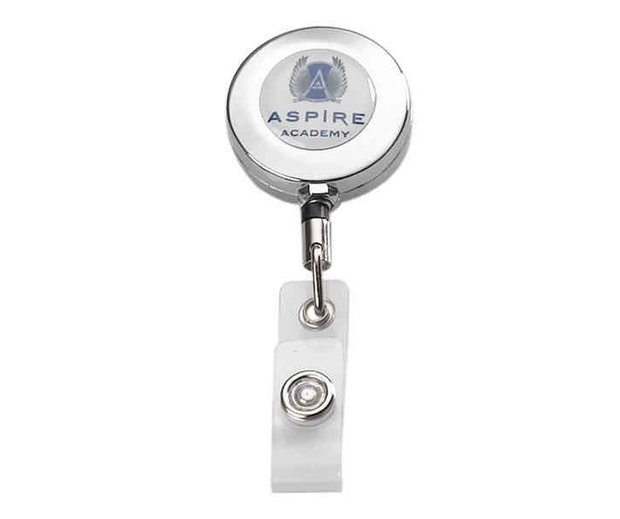 This pull reel / badge reel is delivered in bulk. Host a successful event in a "snap" with this fantastic marketing tool. 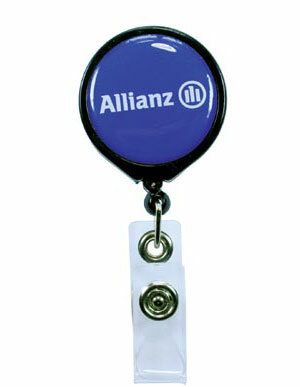 Choose this Retractable Badge Reel with 360 degree swiveling Bulldog Clip on backside as a handy giveaway. Add your company's logo for an excellent opportunity to promote your business. Enhance an upcoming tradeshow or conference by ordering yours today. 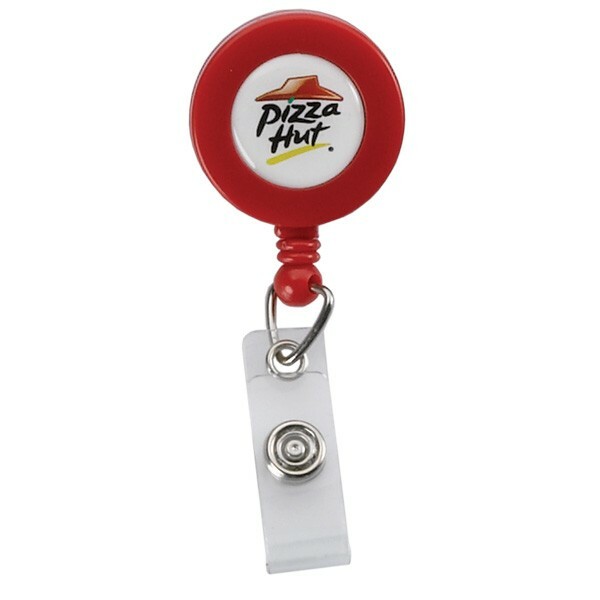 Here's a terrific way to "reel" in potential customers; select this fantastic oval carabiner metal/plastic retractable badge reel. 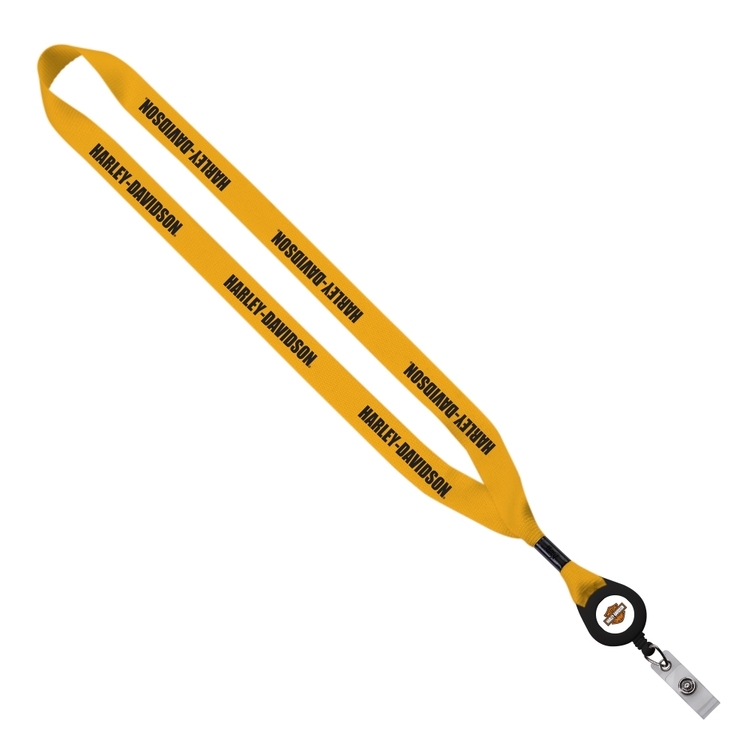 Add your logo to this item to create a handy giveaway perfect for tradeshows, conferences and fundraisers. This is also a nice choice for employees. Order today and "retract" any flaws from your campaign. 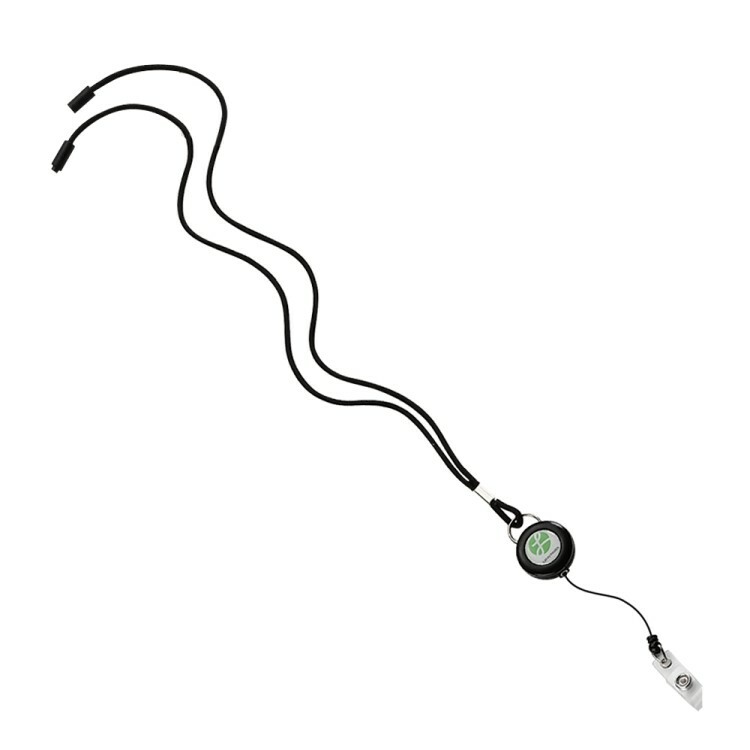 Round Metal Retractable Zip Cord with Epoxy Dome and Vinyl Snap Attachment - Belt Clip on Back. SnugZ USA is a QCA accredited company. Oval Metal Retractable Zip Cord with Carabiner Clip and Vinyl Snap Attachment. 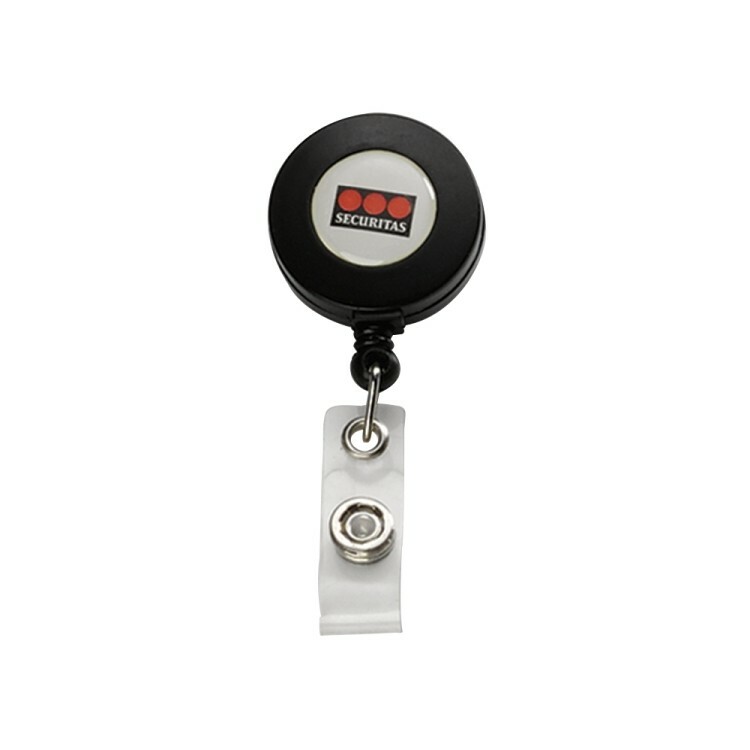 Available colors: Black, Royal, Red, White Here's a terrific way to "reel" in potential customers; select this fantastic plastic/metal retractable badge reel with carabiner features a full color dome imprint. 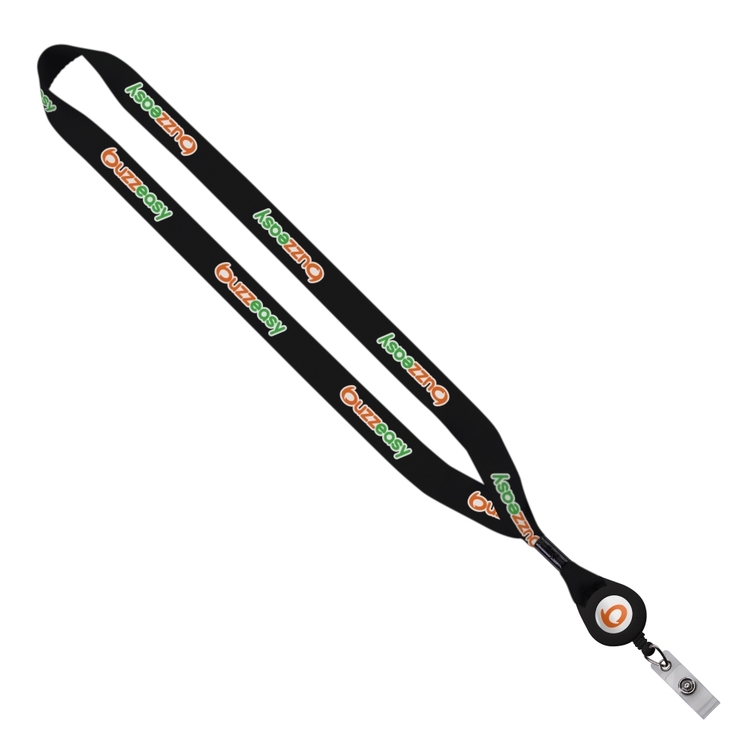 Add your logo to this item to create a handy giveaway perfect for tradeshows, conferences and fundraisers. This is also a nice choice for employees. The pull cord is approximately 25" long. SnugZ USA is a QCA accredited company. 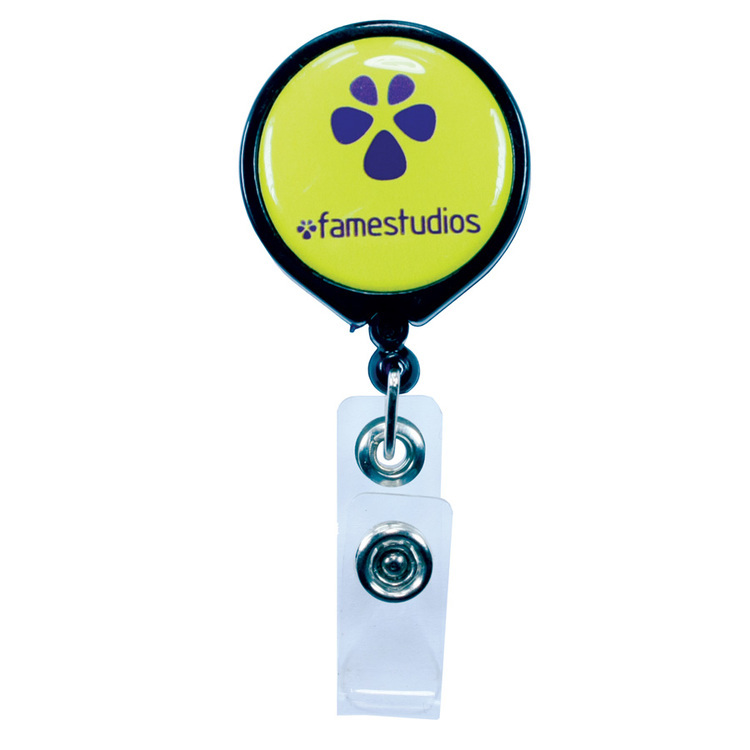 Retractable Badge Reel with Swiveling Bulldog Clip and vinyl snap attachment. SnugZ USA is a QCA accredited company. Here's a terrific way to "reel" in potential customers; select this fantastic marketing tool! 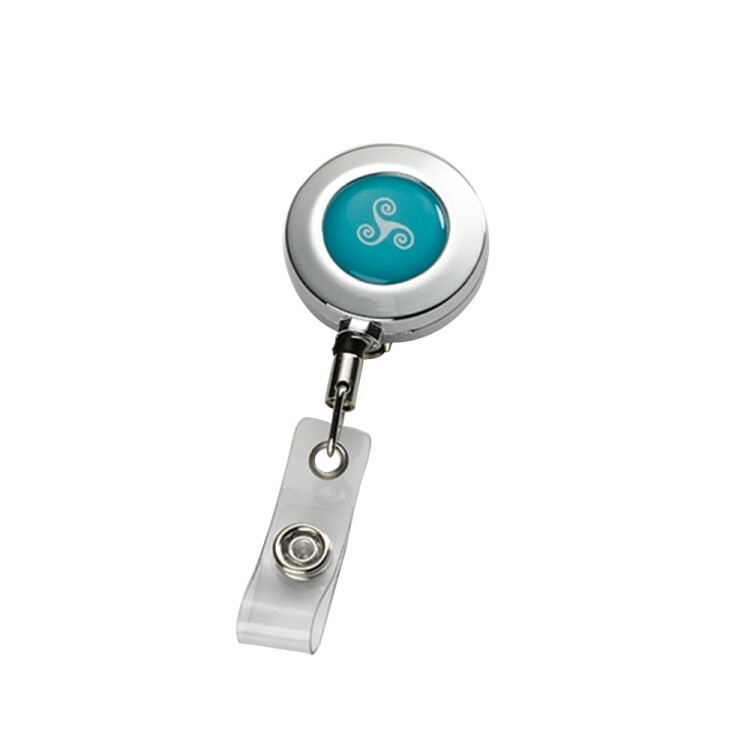 This metal retractable badge reel features a belt clip on back side. Add your logo to this item to create a handy giveaway perfect for tradeshows, conferences and fundraisers. This is also a nice choice for employeees. Order today and "retract" any flaws from your campaign. 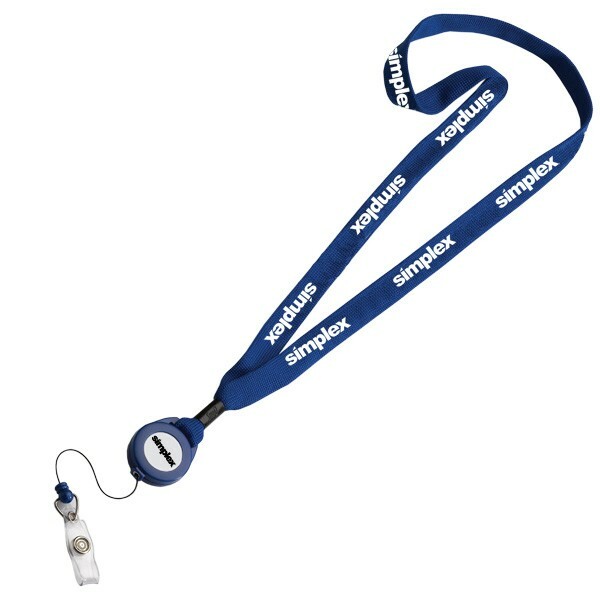 Retractable Badge Reel with Belt Clip and vinyl snap attachment. SnugZ USA is a QCA accredited company. 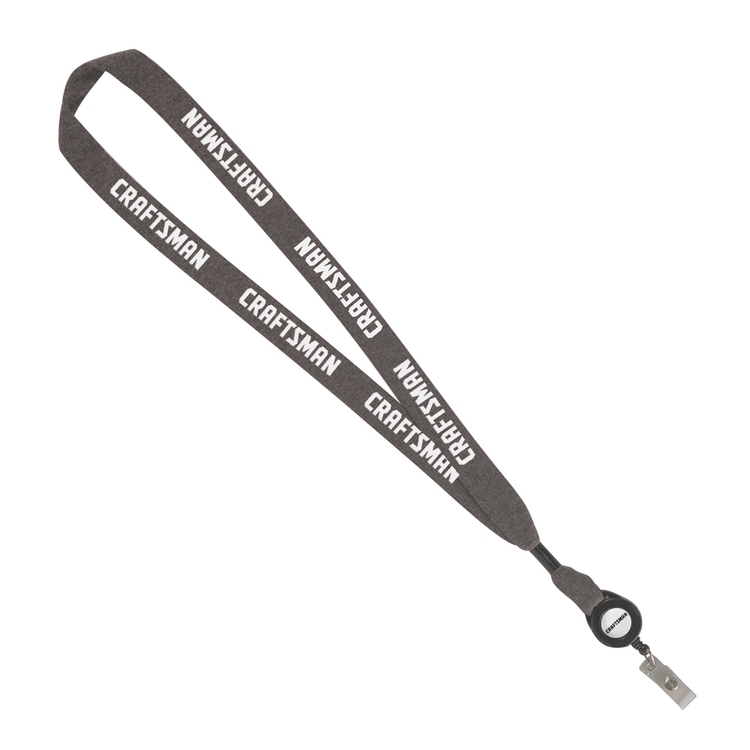 3/4" Polyester Lanyard with Metal Crimp and Retractable Badge Reel. SnugZUSA is a QCA accredited company. 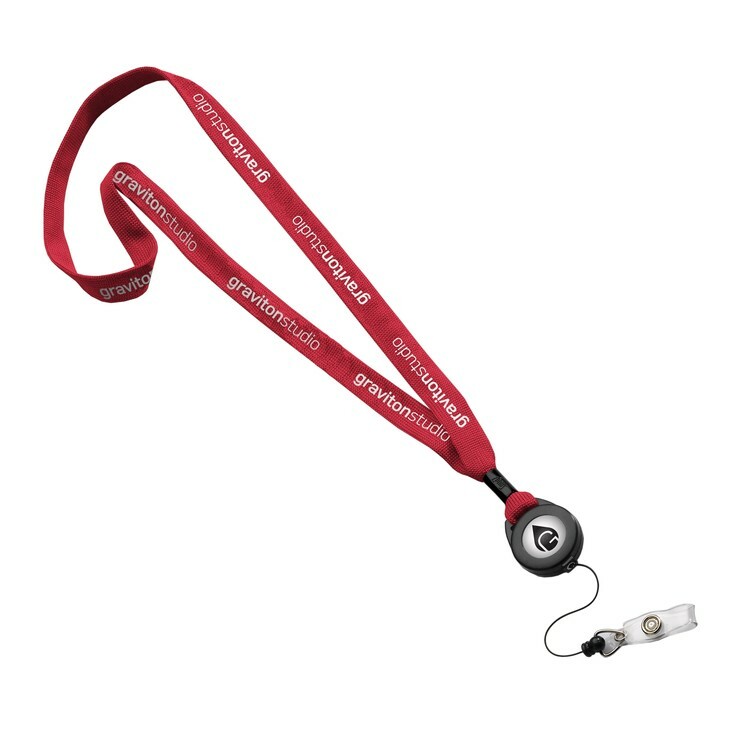 5/8" Polyester Lanyard with Retractable Badge Reel. SnugZ USA is a QCA accredited company. 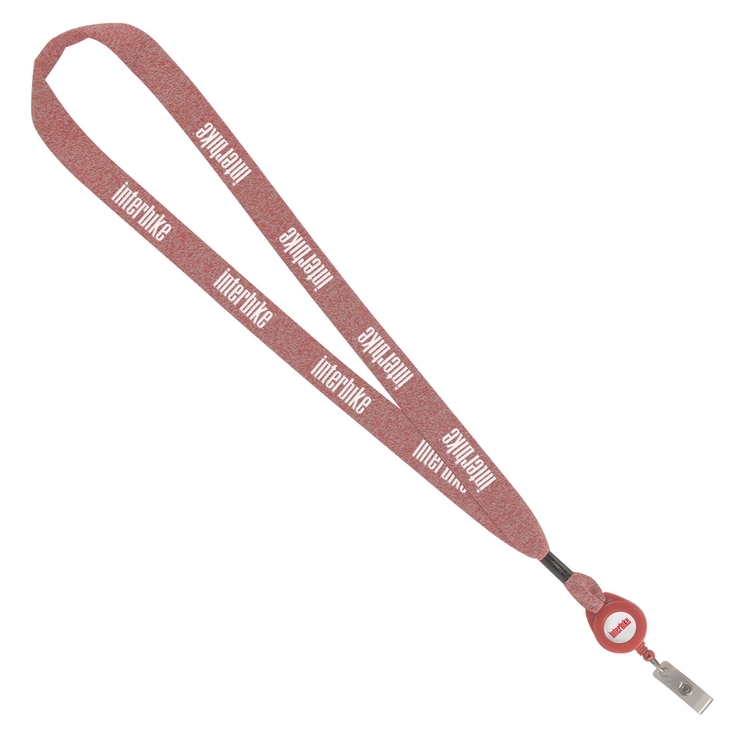 3/4" Knitted Cotton Lanyard with Retractable Badge Reel and vinyl snap attachment. SnugZ USA is a QCA accredited company. 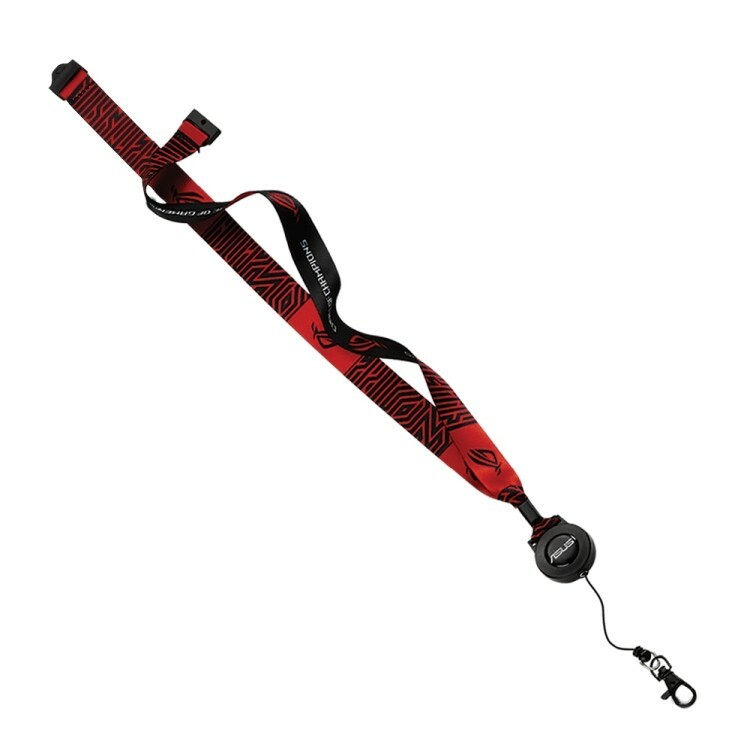 Imported Polyester Dye Sublimated Lanyard with black crimp, sewn badge reel, black lobster claw and release . Turn time: Air: 12-15 business days after pre-production proof approval on select styles. Ocean: 40-45 business days after pre-production proof approval on select styles. Timeline is based on no customs delays or scheduled holidays. Contact your Sales Rep!